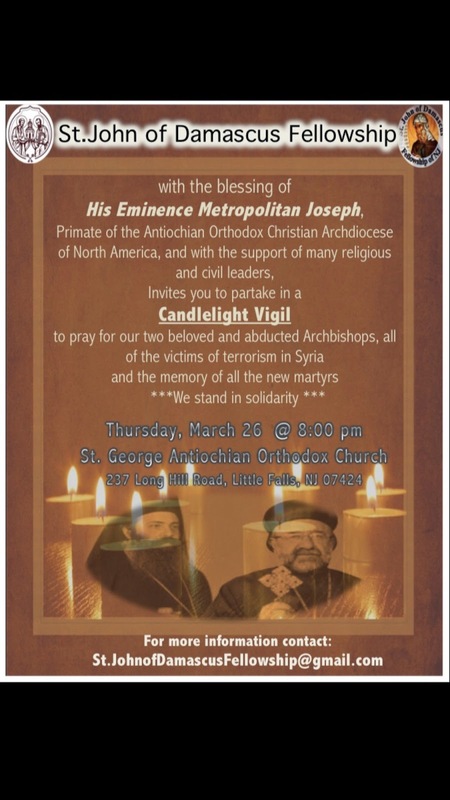 Operation Antioch is proud to announce that on March 26th, St. George Antiochian-Greek Orthodox Church will be holding a candlelight vigil for our two beloved Archbishops who were kidnapped on April 22nd, 2013. Syriac Orthodox Archbishop, Yohanna Ibrahim, and Greek Orthodox Archbishop, Paul Yazigi were abducted by foreign terrorists in the village of Kfar Dael, located in the northern province of Aleppo while carrying out humanitarian work. To this day, their fate is unknown. However, rumors have circulated since their abduction that the party responsible for the kidnapping was none other than Turkish President Recep Tayyip Erdoğan. 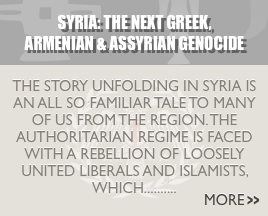 As seen in this statement by the Grand Mufti of Syria, Dr. Ahmad Badreddin Hassoun. OA asks all Greek-Americans in the tri-state area to join hand in hand with the parishioners of St. George Antiochian-Greek Orthodox Church this Thursday as they hold their candlelight vigil and pray service. We must end the silence, and join together to combat the rise of Radical Islam, which if left unchecked will soon be on the shores of Greece and Cyprus. 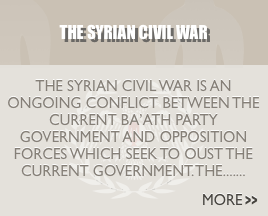 For more information visit the event's official facebook page.